Our current capitalistic society has created an atmosphere of intense competition. Of course, competition isn’t the worst thing in the world, being one of the most important reasons we get the high-quality products and services that we do. Consumerism is only enhanced and increased due to the excessive amount of choice we now grapple with on a daily basis, also brought to us, by competition. How do businesses deal with this competition when it gets too overwhelming and threatens to take them down? Smart businesses and enterprise owners recognize the value of their opposition. They understand the demand and need for their opposition’s products and find a way to provide those products to consumers who would be let down by their absence. They do this by arranging mergers or takeovers. Google is famous for their ability to recognize the danger in a market way ahead of their competitor’s sensibilities, as evidenced by their takeover of YouTube in 2006, a mere 20 months after the website had been founded (for a hefty price of $1.65bn). Despite allegations of copyright issues and lawsuit possibilities, naysayers had to eat their hats after recognizing the sheer technological and innovative power Google held with the acquisition of YouTube. YouTube posted revenue of $4 billion in 2014. This aspect, right here, is how competition gets adopted for mutual benefit. One of the most staggering takeover bids in recent history has been Facebook’s acquisition of WhatsApp for the large sum of $19.6 billion in 2014. This company only makes around $20 million a year, so why would Facebook bother acquiring this company, for that huge of a price? Two words. User growth. Only about 62% of Facebook’s users are active daily, whereas WhatsApp sees activity in 70% of its users. It adds a million users per day and currently has 500 million people using its services. Despite only launching in 2009, it is predicted to reach 1 billion users soon. Facebook was launched in 2004 and only reached a billion users in December 2014. Both these companies made intelligent and informed decisions to ensure their success while keeping a consumer’s needs in mind. Takeovers like this, of course, involve a certain amount of complexity and nuance when it comes to legal issues. If clarity and simplicity slip into these legal structures, business will boom and flourish. This article explores how Singapore has observed the need for clarity and imbibed this into its laws and codes. Singapore is one of the most successful free-market economies in the world. It enjoys a remarkably open, corruption-free environment, stable prices, and a per capita GDP higher than that of most developed countries. One of the most recent developments in Singapore’s aforementioned regulatory framework is the Singapore Code on Take-overs and Mergers (Code). The Code has been revised by the Monetary Authority of Singapore (MAS) on the advice of the Securities Industry Council (SIC). The Code was amended by the MAS under Section 139 (6) of the Securities and Futures Act, with effect from 25 March 2016.
iii. codifying and streamlining existing practices. Following feedback during the consultation, the proposed changes broadly got adopted in the form initially introduced, save for a few adjustments outlined below. codifying and streamlining existing practices relating to pre-conditions in a pre-conditional voluntary offer, allowing the posting of offer documents by offeree companies at an earlier date in a pre-conditional offer, and calculation of the values of comparable offers for different classes of shares. The Modified Auction Procedure is an open auction system which replicates the competitive process that prevails up to Day 46 without any undue extension in time. This auction process is intended to be a robust and straightforward procedure capable of being applied universally to competing for offers involving all forms of consideration. By design, it is a transparent process that focuses on the financial terms of the offers to achieve finality. Paid press notice- Under Note 7 on Rules 3.1, 3.2 and 3.3, the paid advertisement may be published in the most widely-circulated leading English-language newspaper, instead of in two leading English newspapers. The SIC has also clarified that “published daily” includes, for the avoidance of doubt, “published every day except Sunday”. Solicitation of a competing offer - SIC has clarified that the intention is not to impose an obligation to seek a competing offer and that it believes this is sufficiently clear in the proposed amendments. It has however added a statement in Note 8 of Rule 5 that it should be consulted in cases of doubt. Material changes in new or published information- Suggestions made during the consultation included aligning the Code requirements for prompt disclosure of changes to previously disclosed information or new information with the SGX rules on disclosure including the exceptions provided for in those rules. This condition was not accepted. SIC pointed out that parties may consult it if necessary and added a statement in Note 1 to Rule 8.1 to remind parties of this. SIC is also of the view that it is not practicable for the Code to set out all the circumstances in which a material change of information will require the offeree board and independent financial adviser (“IFA”) to update their recommendations. Note 1 on Rule 8.1 has been amended to provide that such information should apply and where appropriate the offeree board and IFA should change their recommendation or advice, and that SIC would clarify in cases of doubt. Shareholdings and dealings- Rule 24.3 is amended to make it clear that the applicable period for the dealings disclosure should be three months in the case of voluntary offers. Offer timetable after the end of an auction procedure- Adjustments were made to the timeline following the end of auction proceedings. The deadline for posting of revised offer documents is now 7 days after the end of the auction. The offeree must post its circular on a revised offer no later than 7 days after the revised offer document gets published. The latest date by which a competing offer may become unconditional as to acceptance is 7 days after posting of the revised offer document. iii. clarify how the offer value for a different class of shares gets calculated. 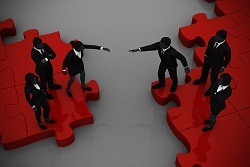 Takeovers and mergers in Singapore are subject to non-statutory rules in the Singapore Code on Take-overs and Mergers, which is administered by the SIC. The Take-over Code seeks to ensure that takeovers and mergers get conducted per good business practice for the fair and equal treatment of all shareholders. SIC does not concern itself with the commercial merits of take-overs and mergers. These changes that have been undertaken by Singapore set a significant precedent for the adoption of lucidity and transparency when it comes to competitive takeover bids, one most developed countries might want to look to for guidance.